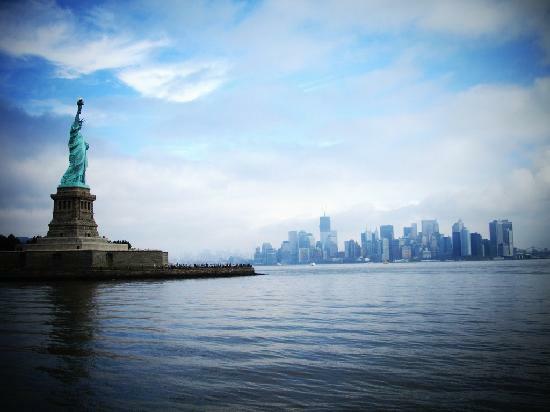 From Central Park on down to Lady Liberty--and everything around and in between--here are the key things to see on a visit to New York City. Regular Farmer's Markets (like that in Union Square every Mon, Wed, Fri, and Sat) are great for exploring and even better for scoring a fresh, local lunch on the cheap. You'll see many New Yorkers crossing against the lights, but if you must do so, please use care (and only on one-way streets). Watch out for errant cyclists too. It is standard in New York to tip 20 percent at restaurants. Please do so. If you rent a bike, don't try to navigate the most heavily trafficked areas. 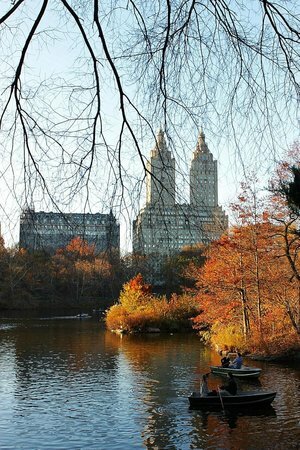 Instead ride along one of the rivers or through Central Park. Before buying a Metro card do a quick estimate of rides you anticipate taking. If it's 13 or more, you'll save with the 7-day pass. You'll eat far better at restaurants off the tourist track. Step off Times Square into Hell's Kitchen, or out of Little Italy into Soho or the Lower East Side. The subway is incredibly efficient, but if you only have one or two stops to go, consider walking. You'll see more, and save fare. 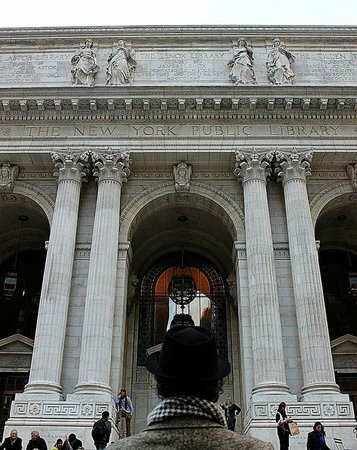 Always a buzz of activity, this stately building is one of my favorite places in all of New York. Not only is it fascinating to stop and watch all the comings and goings, but the structure itself is simply spectacular, with its ornate chandeliers and soaring zodiac ceiling. For an extra-special outing, dress up for drinks at The Campbell Apartment, a former office that was refurbished into a swanky, bar with period furniture and classic cocktails. Look for the "GCT Tour" signs on the main concourse. There you can rent audio tours that will help you get a more in-depth view of the station. The food court downstairs represents many New York standbys in one spot. Visit mid-morning or late-afternoon to graze without the rush crowds. 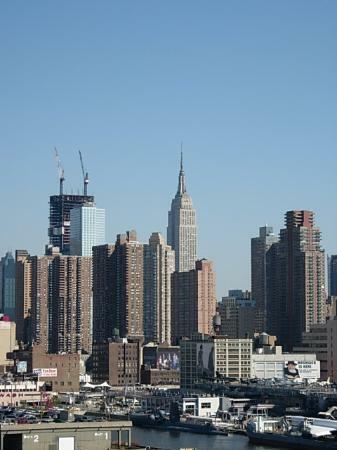 This glowing beacon on the Manhattan skyline has long screamed "New York," often in technicolor. 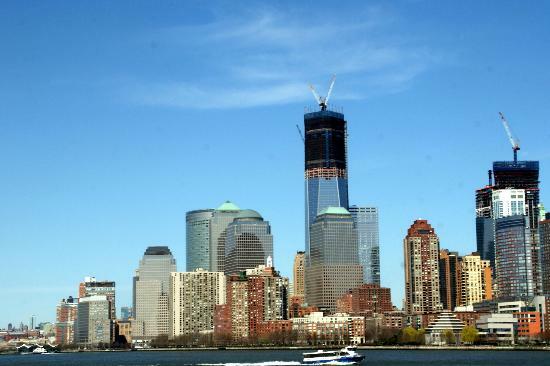 The second-tallest building in the city (after One World Trade Center), it can be seen from all around, and journeys to the top, while pricey, are pretty special, especially if you grew up watching magical Hollywood moments up here. The building changed colors nightly, based on special events or holidays. Check the website to see that schedule during your visit. Visit early (8 am to 11 am) or late (12 am to 1:30 am) to shorten your wait time. Spring the extra money for the 102nd Floor visit. 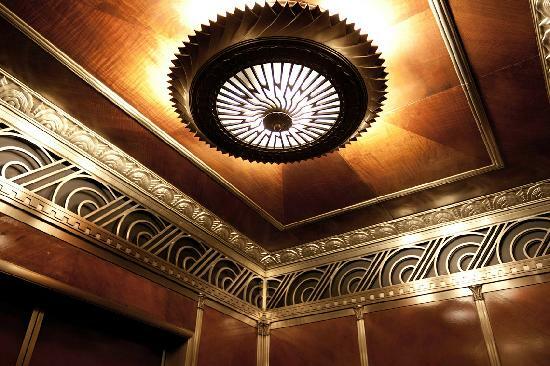 Not only are you higher up, but you get to ride in the historic, manually operated Otis elevator. Be sure to quick the operator! Confession: I'm a book nerd. But you don't have to be one to feel a sense of awe when you walk into this magnificent building (you could also just love ghostbusters!). 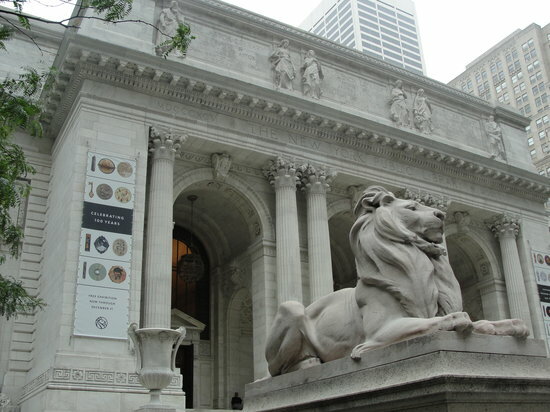 From the lions (Patience and Fortitude) who guard its entrance to its exhibitions of beloved books and artifacts (including Winnie the Pooh), this building is a treasure. One of my favorite spots to read or work is the ornate Rose Reading Room, and you shouldn't miss the Map Room either. The library offers free Wi-Fi throughout, and the small cafe on the lower level is a nice, cool place to relax and people watch. 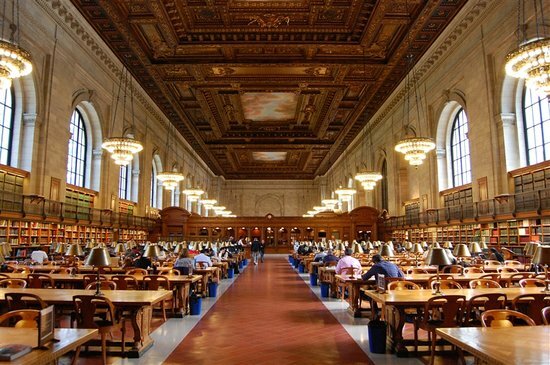 After exploring the library, be sure to head around the back and enjoy its facade from the have that is Bryant Park. Be sure to check out the special exhibitions, which are always fascinating and well curated. 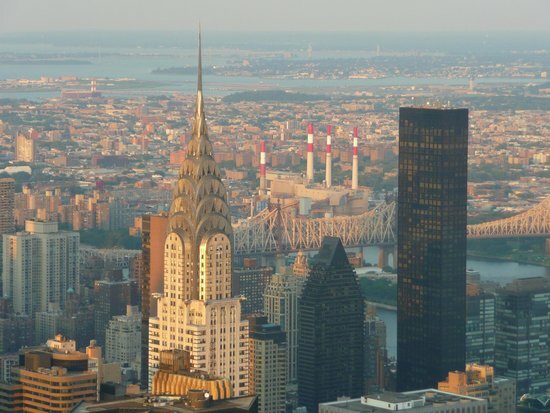 It may have only briefly held the title of Tallest Building in New York, but the Chrysler Building is (to this humble local) the best part of the New York City skyline. Not matter what mood I'm in, I'm always grateful to catch sight of that glittery pinnacle. Grab a seat in Bryant Park to take in the majesty of the Chrysler Building rising up over the Public Library (bonus if you sit at dusk and watch the tower begin to glow). Although visitors can't explore this office building, it's worth stopping into the ornate lobby. 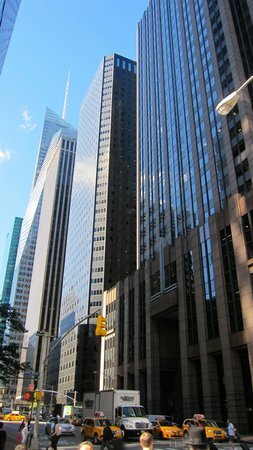 405 Lexington and 42nd St. Songs have been written about it, legends are made from it, actors aspire to it... 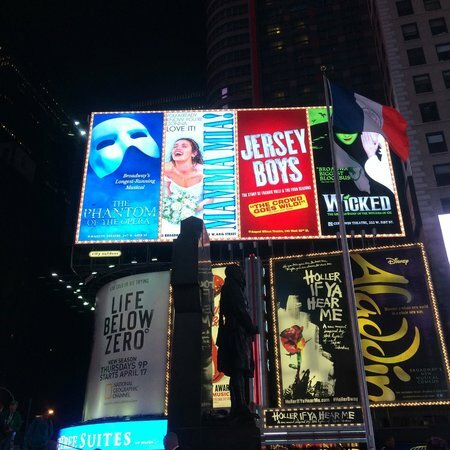 Whether or not you're a theater buff, there is something truly magical about catching a show among the bright lights of Broadway. If you don't care what you see (and don't mind waiting in line), snag discounted, day-of tickets at the TKTS booth in Times Square. It opens each afternoon and offers tickets that haven't yet sold at 20-50% off. The TKTS app will tell you what's available each day. Arrive at the booth early, as the lines will get long. Head off of Times Square for better pre- and post-show food and drink. Restaurant Row (46th St. between Broadway and 9th Ave) has a lot of great options, as does Hell's Kitchen. 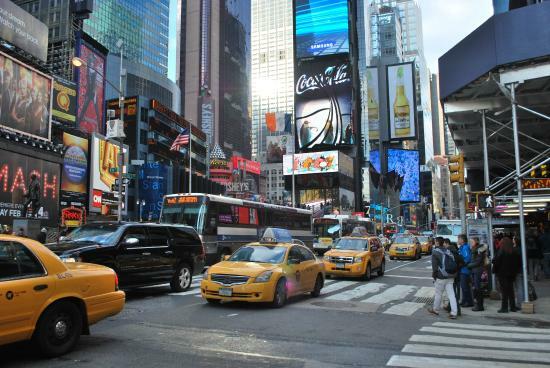 You're likely to experience shorter lines at one of the TKTS booths off Times Square. Try the one in South Street Seaport or the Brooklyn location. 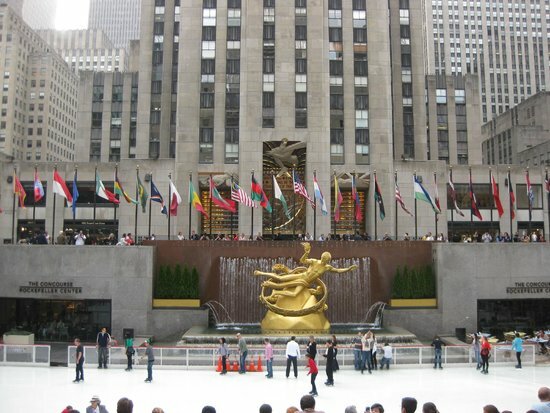 With its billowing flags and golden Prometheus statue, Rockefeller Center is iconic a popular image--and not only because it stars every morning in NBC's Today Show. Its massive Christmas trees, with skaters twirling below, are famous, and Radio City Music Hall (part of the massive complex) is a spectacular music and performance venue. 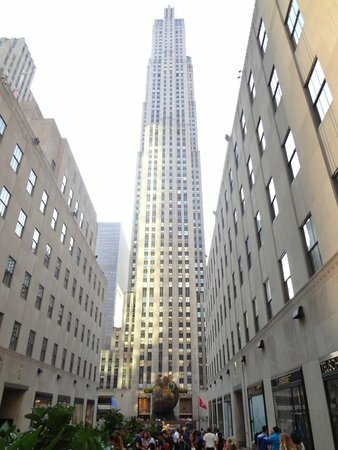 If you're trying to see a taping of the Today Show, arrive early to secure a space. Evening, when everything is lit up, is my favorite time to visit. 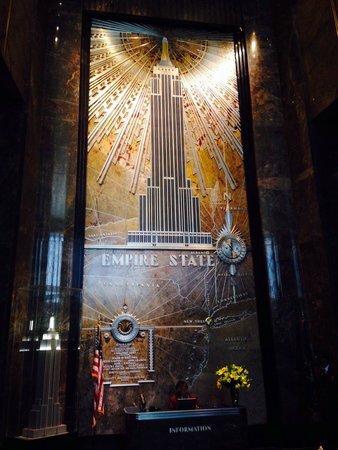 If you're trying to decide whether to ascend Rockefeller or the Empire State Building, keep in mind that from the Top of the Rock you can view the Empire State. 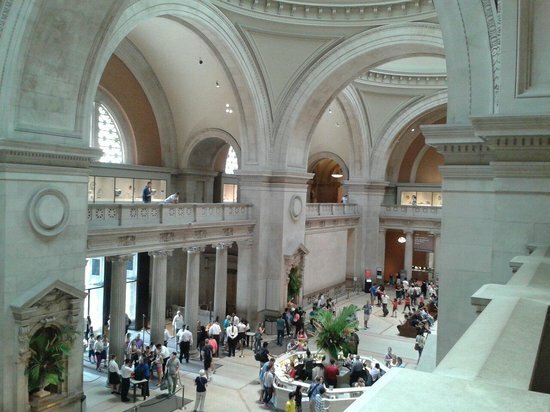 The halls of New York's famed Met Museum are hallowed ground for art lovers, but even if you're not "an art person," you may just find yourself spending a few hours wandering from Roman antiquities to the Dutch Masters. 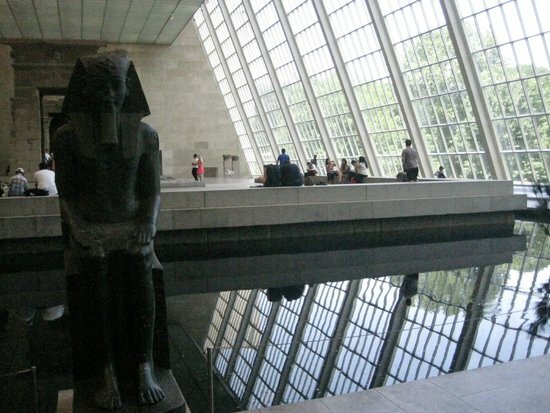 My favorite place is the Egyptian wing, where you can experience firsthand a temple. 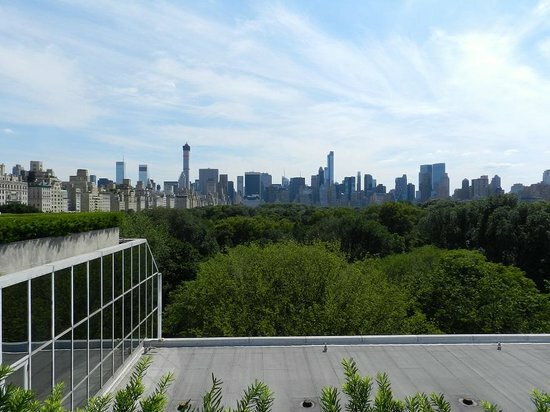 If weather permits, be sure to visit the Met's roof bar for incredible views of Central Park and beyond. The fee includes same-week admission to The Cloisters, which is just as notable for its incredible building as for its collection of medieval art. Admission is suggested donation. While it's nice to pay the full amount to support the museum, if you can't afford it, pay what you're able. 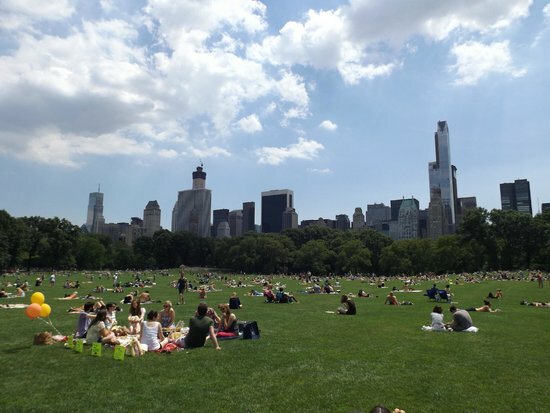 Whether you wile away an afternoon lounging in the grassy expanse of Sheep's Meadow or taking a leisurely stroll through the Rambles, you should not miss Central Park. 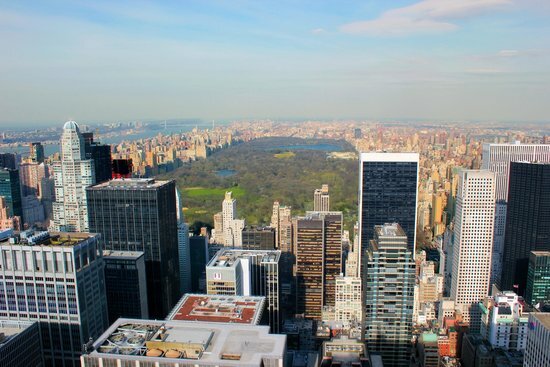 This green oasis surrounded by city is a favorite spot among New Yorkers, for both its history and its magic. Where else can you explore a castle, sail model boats, hang with Alice in Wonderland, and cross picturesque bridges. 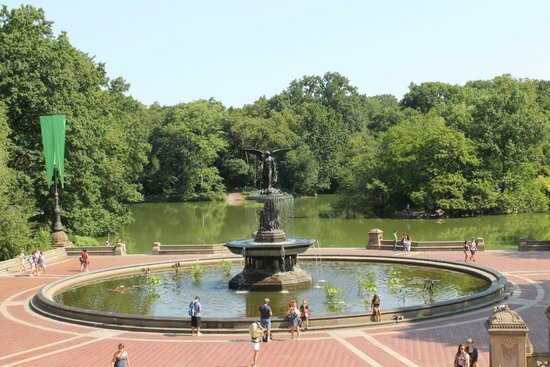 It would be difficult to do the whole huge park in a day, so if you make it to one spot, make sure it's Bethesda Fountain. The northern areas of the park are often overlooked by tourists, but the Conservatory Gardens (5th Ave and 105th St) is a great hidden gem. 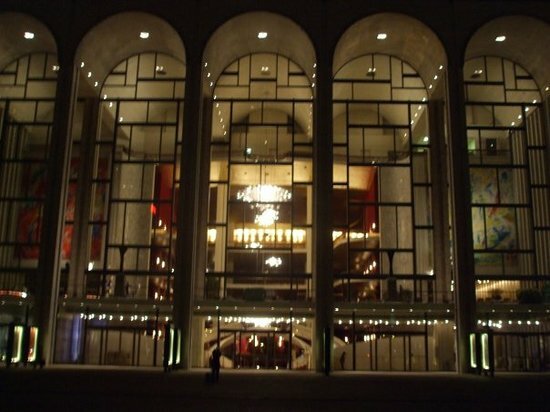 Even if you don't attend an opera or ballet at Lincoln Center, be sure to walk by and enjoy its grandeur. If nothing else, take a few minutes to watch the water dance in that iconic fountain. There is something spellbinding about that simple show, especially in the glow of the evenings. 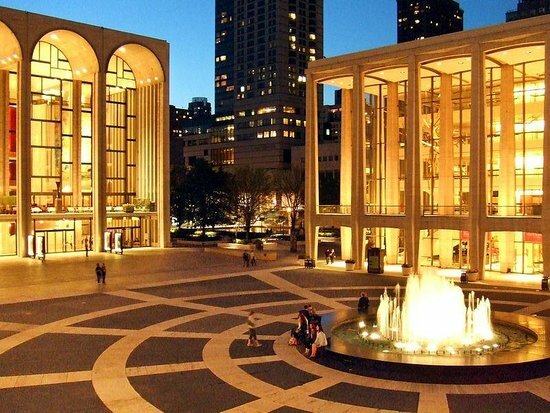 You can obtain discount tickets to a number of shows at Lincoln Center by visiting the Zucker Box Office (see website for details). 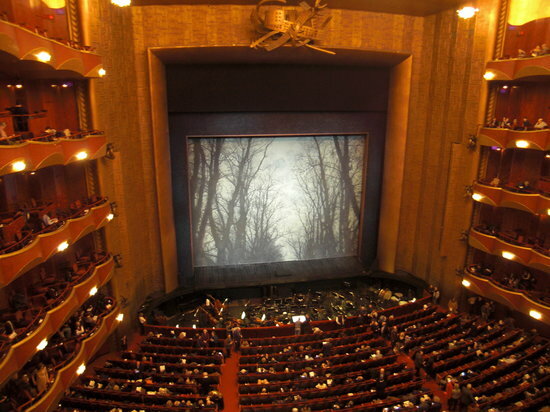 During summer, Lincoln Center offers all manner of free outdoor events, from live music and dancing to presentations of past operas on an outdoor screen. The plant-festooned David Rubenstein Atrium is a great place to relax over a coffee or drink, and also offers free performances every Thursday (check website for schedule). Even if you can't afford to shop at Cartier or Prada, you must stroll down New York's famous shopping row. Have your own little breakfast at Tiffany's or peek into shops along the way. There are also more accessible options like H&M and Sephora. 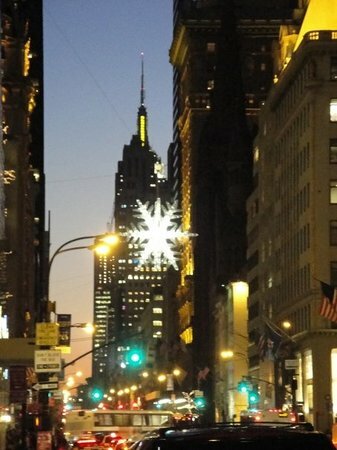 If you're exploring the holiday windows, be sure to stop long enough outside Saks Fifth Avenue to enjoy the light show (it runs every 8 minutes or so). Amid the brand names stands the St. Patrick's Cathedral. Be sure to take a break from shopping to enjoy its grandeur. 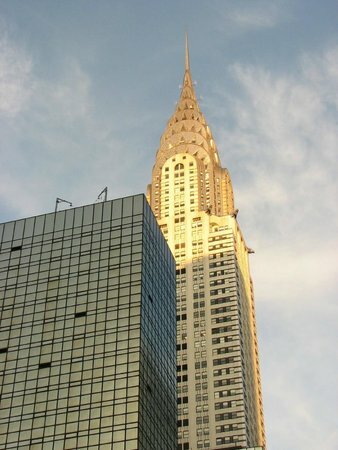 This imposing and impressive structure is not only a signature landmark of New York. 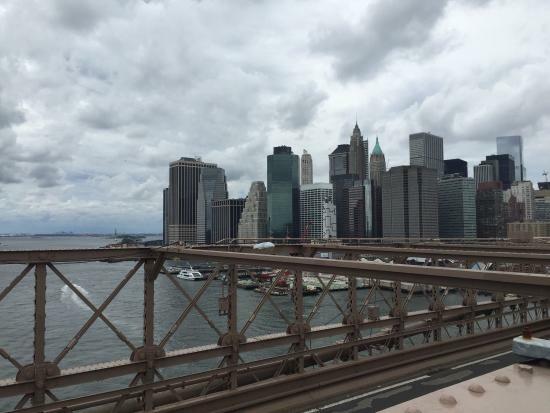 It's also one of the oldest suspension bridges in the country. And while it's lovely to behold from wherever you stand, you should really walk across it to experience the awe that is standing underneath one of its massive towers. 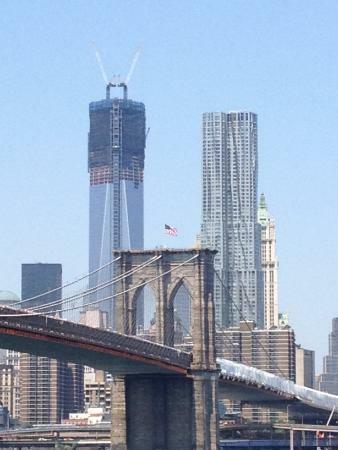 If you're walking over, factor in some time to explore DUMBO or Brooklyn Bridge Park on the other side of the bridge. Both are attractions in themselves (with stunning views!). 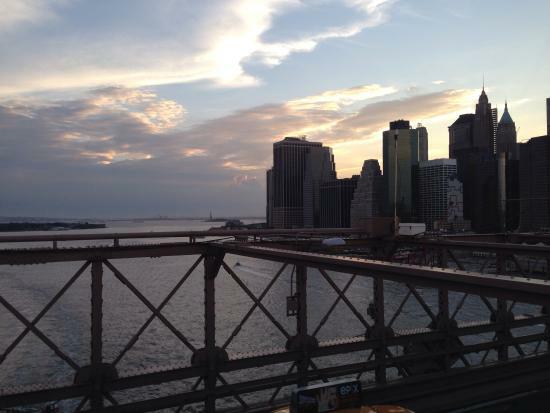 The pedestrian walkway stays open late, so cross at night to take in the glittering skyline from the bridge. It's fine (and expected) to move slowly and enjoy the bridge, but be aware of faster walkers and especially bikers as you're crossing. 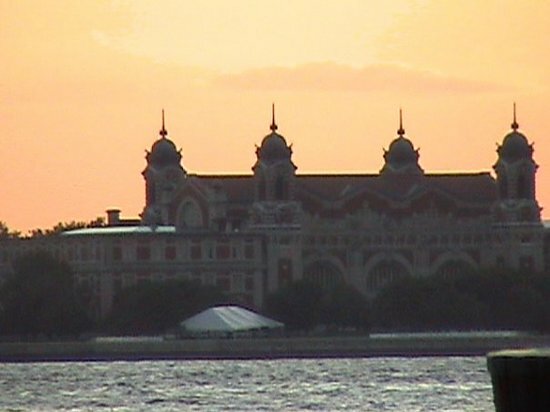 If you're not visiting Ellis Island, skip the hassle of the Statue of Liberty Ferry and take the free Staten Island Ferry. 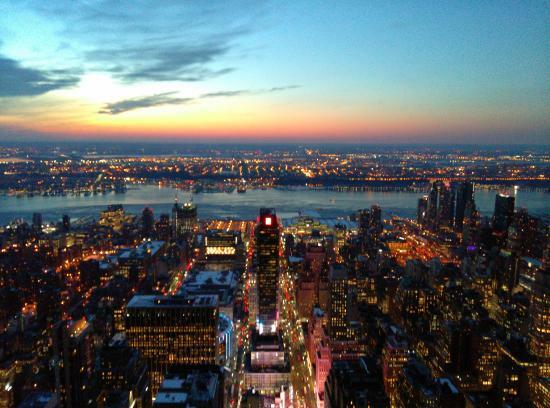 You'll wait far less and still get amazing views. Book well in advance (up to six months if you're visiting during the summer) to ascend to the pedestal or the crown. 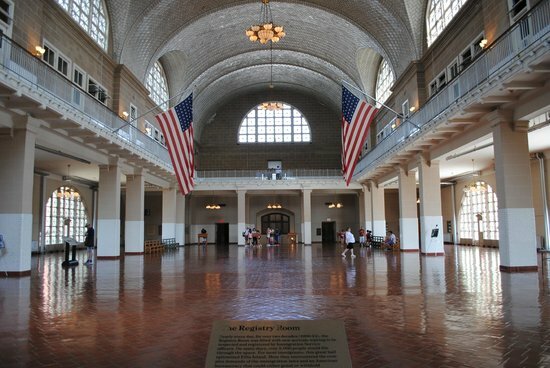 History lovers must visit this former immigration center. Not only are its buildings beautiful, but the story it tells is fascinating and heartbreaking. 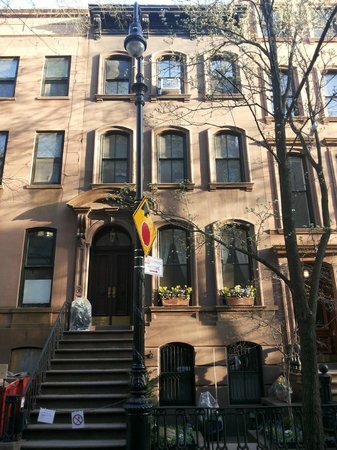 You can walk through the footsteps of incoming immigrants and even get a sense of the conditions they experienced. Better yet, if you have a ancestors who came through here, make sure you spend some time looking them up--it's a chill-inducing experience. The more specifics you have the easier it is to find relatives. Come armed with any information you can (full names, possible cities of departure, dates of travel...). The wait for the ferry is often long. Arrive early (first boat is 9 am) and purchase your tickets online to limit your wait time. 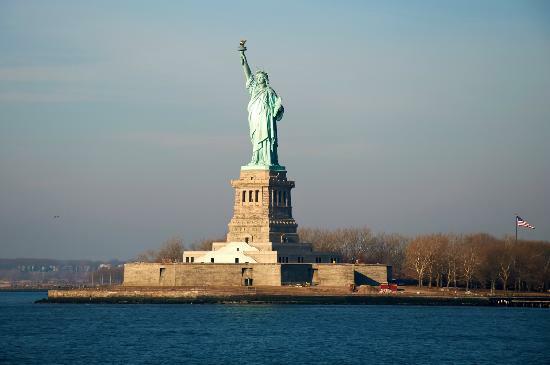 As there is not much on Liberty Island, take your views of the statue from the ferry and come straight over to Ellis Island, which takes longer to explore. 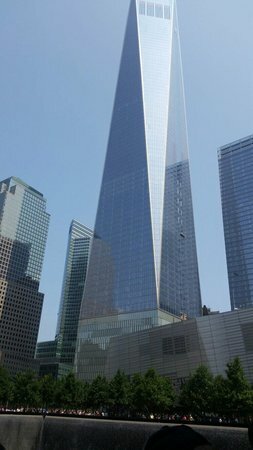 I didn't visit New York when the Twin Towers were still standing, but seeing their footprints is nonetheless moving. 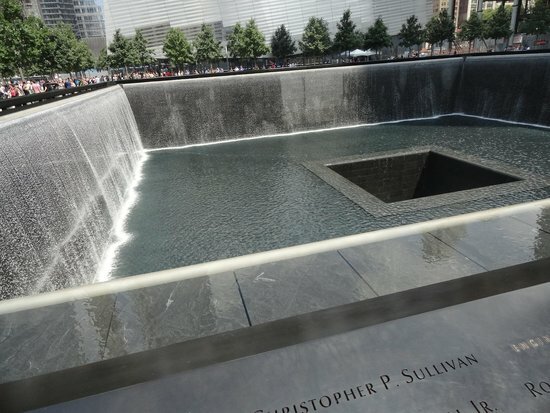 The tranquil park that memorializes the September 11 tragedy beautifully, and the museum tells the stories of that fateful and awful day. 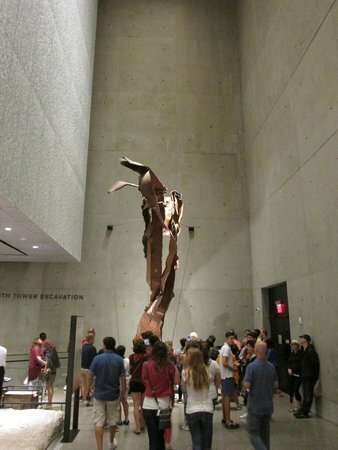 Admission to the museum is free on Tuesdays from 5 p.m. until 7 p.m. The memorial park is always free to visit. Pick up a map to guide you around to the various elements, including the names on the pools and the survivor tree. 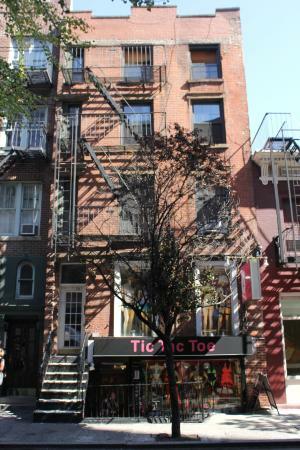 Perhaps my favorite neighborhood in all of Manhattan, the West Village captures both the historic charm and the artistic spirit of New York. It's a maze of streets, each more quaint than the next, lined with brick row houses and tranquil trees. 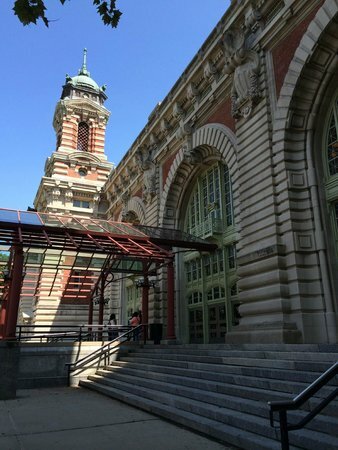 Stop into the Jefferson Market Library on 6th Avenue. The former courthouse is stunning to behold, both inside and out. Out by the water, the Jane Hotel is both historic gem and home to a lovely, airy restaurant, Cafe Gitane. Surviving crew of the Titanic were brought to this building. 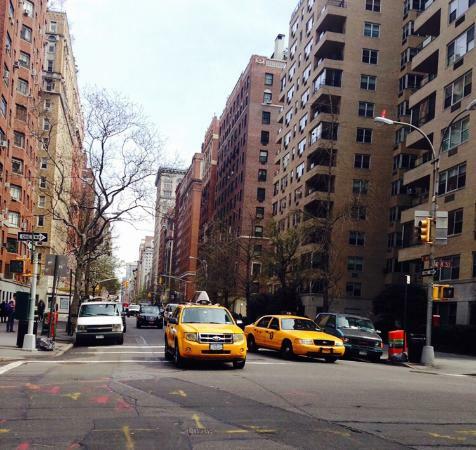 The West Village is not on the grid system, which makes it easy to get lost here. Let yourself: An hour getting lost here is an hour well spent.